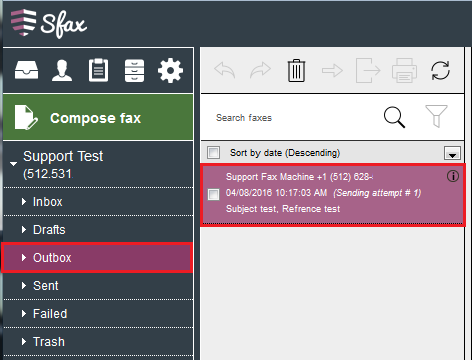 Sfax will allow you to view the number of retries on an outbound fax attempt in the Outbox, Failed and Sent folders. There are a maximum of six attempts per transmission. 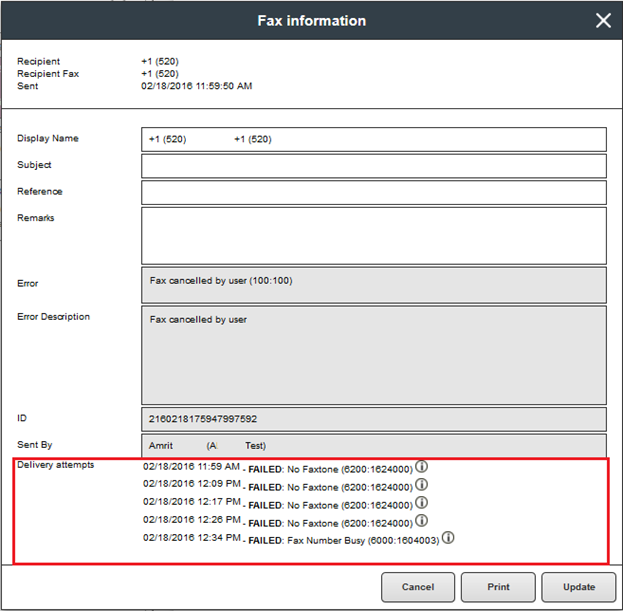 First, select from the Outbox, Sent, or Failed folders, and then select the fax in question in the middle column. Once you have selected the fax, look to the upper right and click the blue information icon. The Fax information window will open up. In the Delivery attempts sections, you will find the attempts and the resulting message.